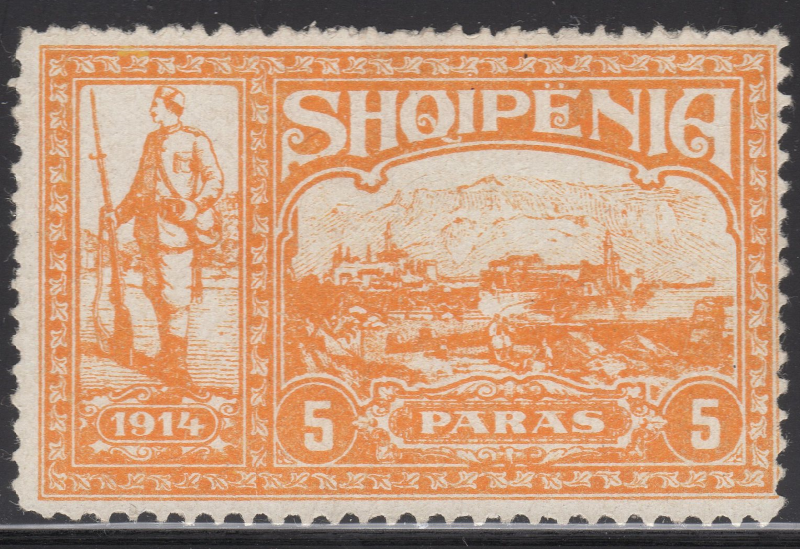 Albania, in the first 2 decades of the 20th century was a minefield of fakes, forgeries and fantasy issues. 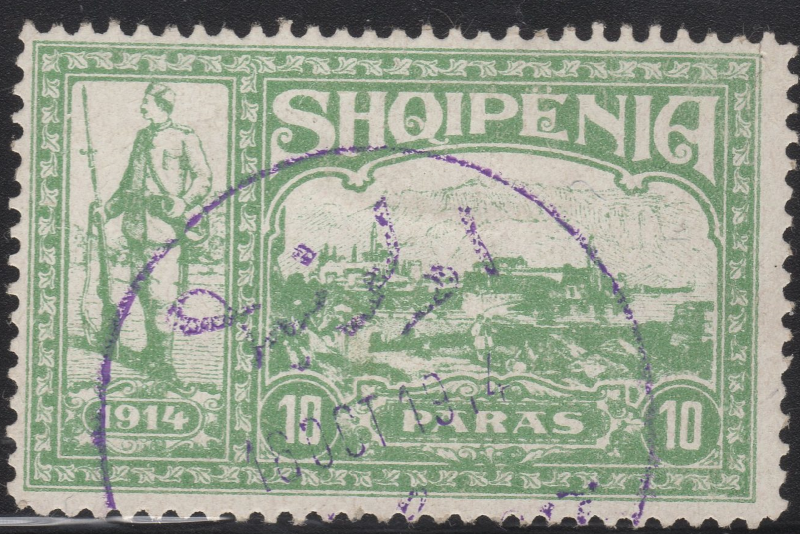 In 1914, a set of stamps was created, featuring the image of a warrior and a view of a city, presumably Valona Albania. Valona was the Italian name of the city of Vlore. The situation in Albania from its independence declaration in 1912 through the aftermath of WWI was chaotic. Prince William had been formally selected to become the sovereign of Albania in February of 2014 and formally arrived at the capitol in Durres on March 7th 1914. His reign was brief. 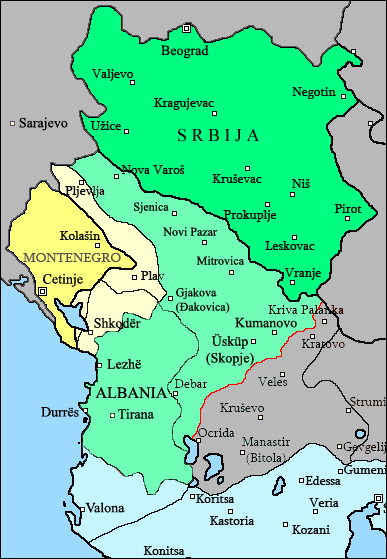 Shortly after setting up his government, Muslim revolts broke out in Central Albania, and Greece pushed for the setup of a provisional government in Northern Epirus in the southern part of Albania. 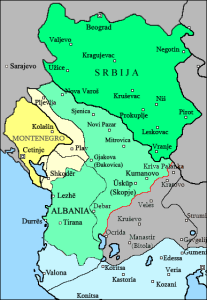 In Northern Albania the Catholic Mirdites revolted against the central government and various tribes fought and took control of various portions of central and northern parts of the country. The situation was chaotic. WWI broke out in July of 1914. Prince William finally left the country on September 3rd of 1914. After his departure, an International Commission made up of the 6 countries of the Great Powers, created a Regency Government in Vlore (Valona). Vlore was invaded and occupied by Italian forces which stayed in place until 1920. This Regency government was in place until Essad Pasha returned to Albania and took control of Tirana and Central Albania and formed a new government in 1915. An enterprising Greek gentleman by the name of Perikles Zissis, created a series of stamps featuring the city of Valona and a warrior. 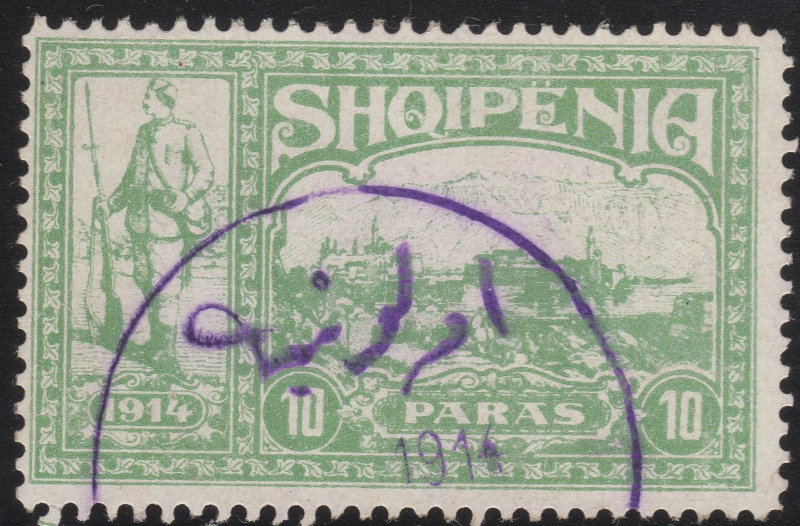 Zissis was also responsible for a number of other forgeries during that era of Albanian Stamp Overprints and Italian Overprints. 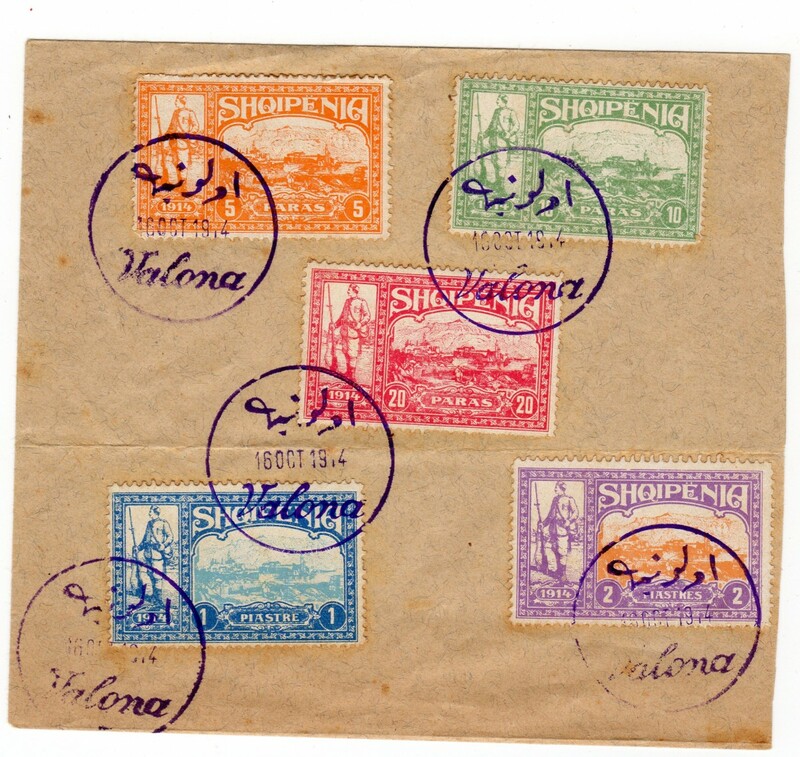 The stamps exist in a number of values and colors, overprinted with a postage due “T”, and can also be found on covers and with Valona postmarks. 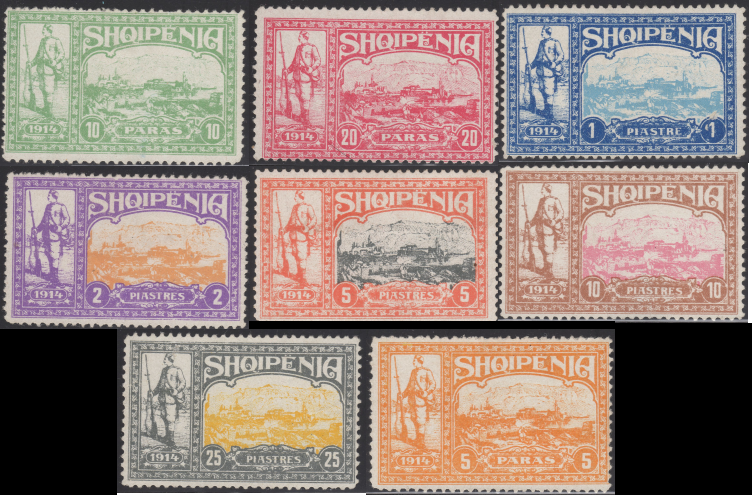 Zissis not only produced these stamps, but went to great lengths in order to legitimatize them. Zissis had a document prepared containing images of the stamps and postmarks along with what appears to be 3 different statements regarding their validity. One in an Arabic script (Turkish? ), one statement in French and one in Italian. The French and Italian statements are “Declarations of Genuineness”. 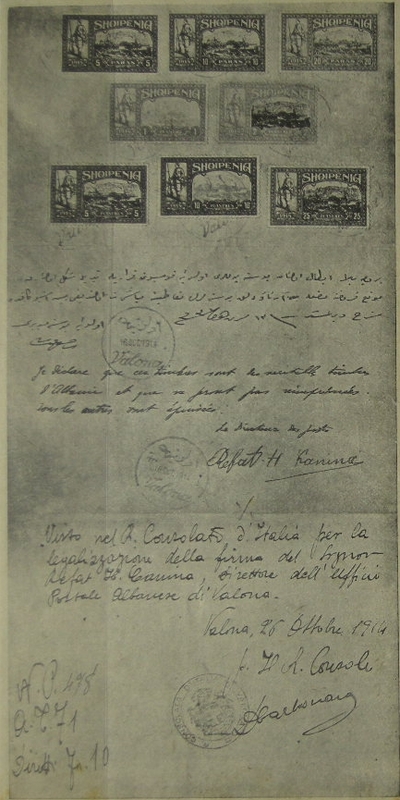 The French Statement was signed by a “Refat H Kanina” apparantly the Director of Posts, and the Italian Statement was signed by the Italian Consul at Vlore on October 26th 1914 which verified that Kanina’s signature was genuine. It turns out, of course, that all this was bogus. The signatures and statements in French and Italian were cut from existing documents, pasted to this new document, and then photocopies were created in order to disguise the ruse. You can read a bit of discussion we had on this document over at stampboards. The postage due overprints appear on a set of 3 different values. 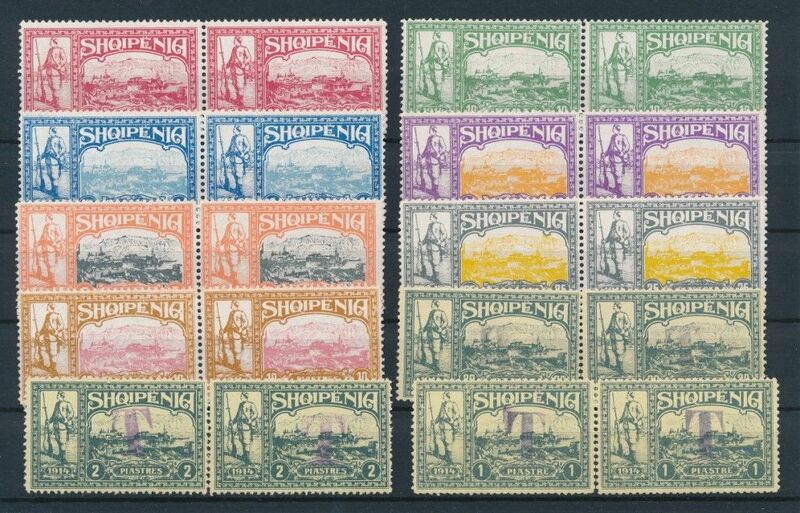 These values do not seem to be included in the main non-overprinted set, however, I have seen at least one “non-overprinted” stamp of the 20pa Green. The overprints themselves are in 2 different colors. A light red, and purple. The purple overprints, I have only seen so far along with a purple colored Valona postmark. 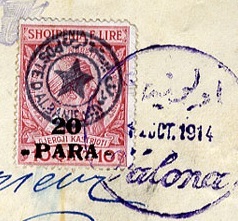 All of the issues also exist postmarked with a “Valona” postmark dated October 16th, 1914, and a second version of this postmark with the month and year omitted (just the 1914). October 16th would have been about a month after the Regency Government was setup at Valona. Here are two examples of the full stamp with each of the cancel types. It is difficult to make any details out in the postmark. The Valona cancel is an interesting one in that it is not a cancel that was used at the time and only appears on the bogus “Star Overprints” which were also created at the same time. Here are a couple of references on the star overprints, including a cover posted by one of the stampboards members. 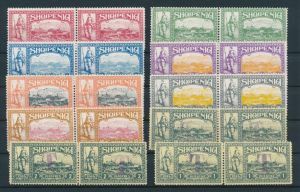 Without official catalogs, determining value of Cinderella stamps such as these can only be done by researching auction results.